In Europe, Google controls the lion’s share of the search market, but in the U.S., there is still competition among the major players in search. Even though Google still accounts for nearly two thirds of searches, search engines like Bing and Yahoo have remained relevant and have even made important advances in recent months. Last week saw good news for both companies. This article will examine the recent milestone from Bing and the latest news from Yahoo. 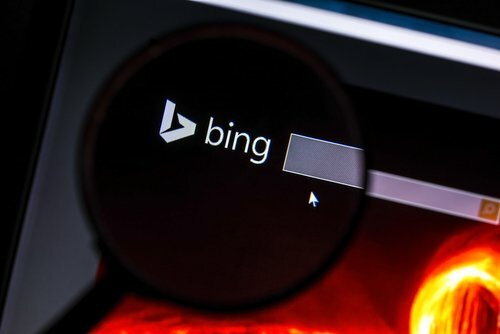 According to the most recent comScore search rankings, Bing topped 20 percent of desktop search for the first time since the engine was launched in 2009. This means that one in five searches happens with Bing. Yahoo remains steady at 12.1 percent, but even this is good news for Bing. Bing and Yahoo have an agreement where Bing provides all of Yahoo’s search results (Yahoo just uses it’s branding and design style). So right now nearly, a third of searches use Bing results. Though Google is still clearly the dominant search platform, reaching 20.1 percent is a significant milestone and accomplishment from Microsoft. Their previous offerings in the search area, MSN and Live Search, never really had strong market share. The continued rise of Bing suggests that rebranding their search engine and other changes they’ve made are working. Though it should be noted, that most of the market share Bing has gained came at the expense of Yahoo and not Google. However, the other news involving Bing was not so good. The Bing and Yahoo partnership mentioned before got a major overhaul last week. Both companies played up the parts of the agreement that are good for them, but it seems that Bing is losing a lot more than Yahoo is gaining. This is what the CEOs of both companies said in a press release. The changes come down to how much control Yahoo has over some of its content. For example, under the previous deal, Yahoo could only show Bing results in desktop searches. Now they have use Bing for just 51 percent of their searches, and Yahoo is free to use their own tech or someone else’s for the others. This gives them opportunity for innovation with more-profitable searches. More importantly, the same applies to desktop ads. Instead of showing only Bing ads on desktop, Yahoo can now partner with someone else to show up to 49 percent of their desktop ad space. Yahoo used a loophole to allow them to show different searches on mobile other than Bing which proved effective. They may be able to recreate some of that mobile success on desktop. For this loss search volume and ad space, Bing regains control of the right to sell to large companies and businesses directly. Under the previous agreement, Yahoo handled the so-called “premium search” clients for both companies. This may be a good opportunity for Bing to make a higher profit by using their own sales teams and strategies. 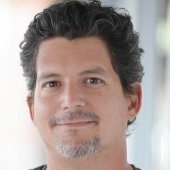 It’s hard to know the outcome of these changes for either company, but it suggest the market for competition among search engines is strong and dynamic. Though neither is strong enough to challenge Google on their own, they have grown enough that they can afford to be less tied to one another. Bing is still a new platform but they have made strong gains in the five years. And under the leadership of Marilyn Meyers, Yahoo is slowly adapting to its role as a niche provider in a search landscape dominated by Google and Bing. Though as the Yahoo-Firefox deal showed, Yahoo has some good plans to regain some of it’s lost market share. For more information about Bing, read this article on changes Bing made to search functions.